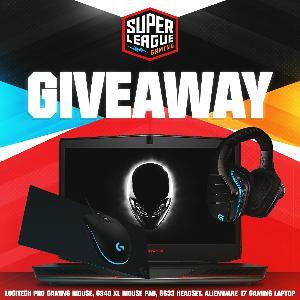 Prize: Alienware 17 Gaming Laptop; PRO Gaming Mouse; PRO Gaming Keyboard; G840 XL Gaming Mouse Pad; G633 Gaming Headset. Statistics: This contest was opened by 281 and entered by 45 ContestChest.com members. 16% of those who opened the contest, entered it.